The ToughTech Duo from CRU-Dataport is a portable and robust little RAID hard drive. 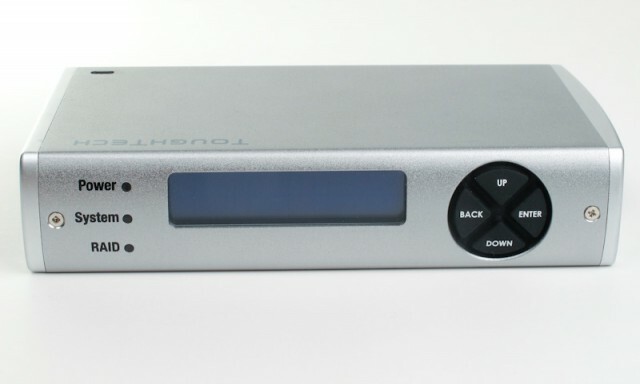 It has connectivity options for FireWire 800, eSATA and USB 2.0. 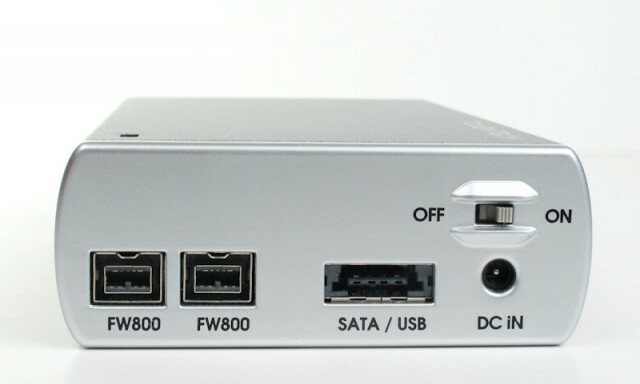 The drive is bus powered over FireWire 800. The drive ships with every cable that you could need to get up and running – USB 2.0, FireWire 800, FireWire 400-800, and eSATA cables – as well as an AC adapter with plugs for multi-country power standards. The dual FireWire 800 connections are great, as I have daisy-chained the ToughTech Duo alongside another 4 hard drives via bus power from my MacBook Pro. This a feature you should look for on any modern hard drive. 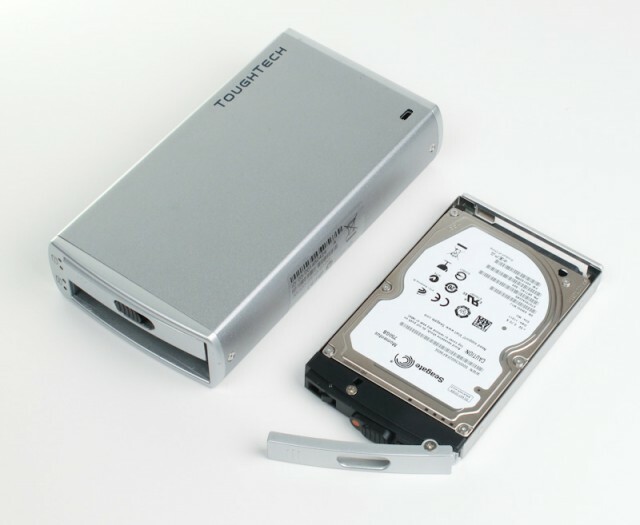 The ToughTech Duo houses 2 standard 2.5-inch hard drives and offers RAID configurations in RAID 0 and RAID 1 flavors. 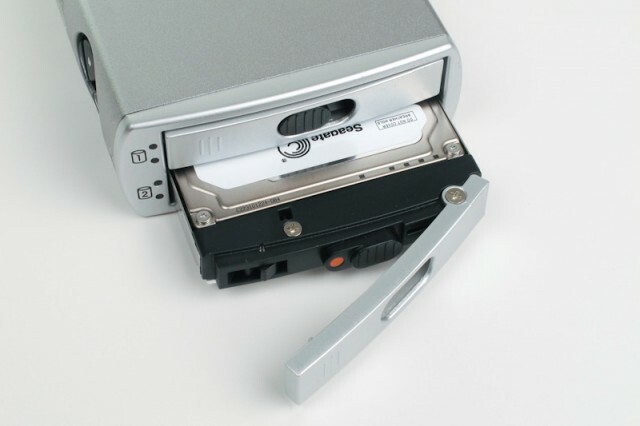 The drives are easily swappable thanks to the sled system that lets you eject the physical drive and replace it with no tools required. The RAID configuration is the easiest setup that I have ever worked with. You simply navigate using the arrow keys on the front of the ToughTech Duo through a few different menu items, choose which flavor of RAID you want and it’s done in a matter of seconds. Working with FireWire 800 on a MacBook Pro offers no benefit for choosing RAID 0 over RAID 1. In fact, I found the RAID 0 arrangement to be slower over FireWire 800 than the RAID 1 arrangement. I’m not sure why this was the case though. 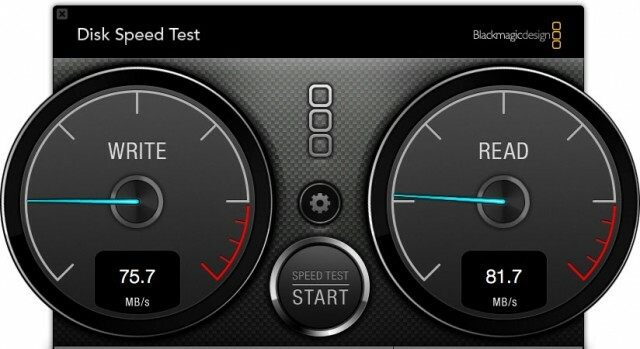 The RAID 1 configuration delivered a respectable 75.7MB/s write speed and 85.7MB/s read speed according to Blackmagic’s Disk Speed Test. For a portable, bus-powered drive, running the ToughTech Duo in RAID 1 turns it into a perfect portable drive for photo editing. You get decent FireWire 800 speed and you get an instant duplicate of your data thanks to the duplicate drive in the RAID 1 configuration. The biggest turnoff for most shoppers will be the price point. The ToughTech Duo with no storage runs around $300, while a spec’d out ToughTech Duo box with dual 750GB drives runs about $770. 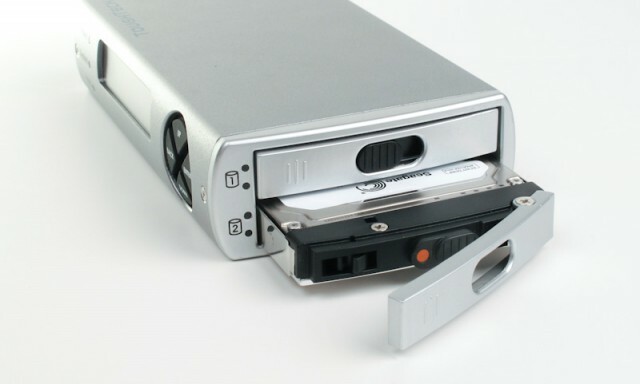 Clearly, you are paying for the easy-to-use RAID options and the excellent design of the drive case and sleds. This is not your typical Best Buy hard drive that casual shooters are looking to store images on. As a professional tool, the set-it-and-forget-it RAID array and tool-free drive swapping will find value with plenty of pros looking for a secure, bus-powered drive. You can find numerous configurations of the ToughTech Duo here at Amazon.